Back in the fall of 2016, the Seattle City Council issued its final action on Ordinance No. 125114, which included what has become known as the “first in time” policy. The “first in time” policy went into effect January 1, 2017 and affects residential and apartment leasing in the Seattle area. Under this new law, residential landlords must accept the first prospective tenant who has submitted a complete application and meets all of the screening criteria necessary for approval. This new ordinance is shaping up to be quite onerous for Seattle Landlords/property owners and property managers. Significantly, on December 16, 2016, the Seattle City Council held a special meeting and decided to delay enforcement of the ordinance until July 1, 2017. Their reasoning for this delay was not clear from the Council’s meeting minutes. After the landlord then receives a completed application (by personal, electronic, or postal delivery), the landlord must note the date and time of receipt. Documenting the chronological order of receipt of applications will be critical for landlords. If an application is missing any information, the landlord may not automatically deem the application incomplete. Instead, the landlord must notify the prospective tenant of the additional information needed and provide at least 72 hours for the prospective tenant to provide such information. If the prospective tenant is able to provide the additional information by the stated deadline, the prospective tenant will maintain their place in line, based on the timing of their original application. If a prospective tenant can show that they need extra time to complete an application due to need to ensure meaningful access to the application or for a reasonable accommodation (such as if they have a disability), the ordinance requires the landlord to document the date and time of the request (which will serve as the date and time of receipt if the request is not denied) and not unreasonably deny a request for additional time. If the request is denied, then the date and time of the receipt of the complete application will serve as the date and time of receipt. Under this process, the landlord must screen applications in the order in which they were received and make offers to qualified tenants in that order. A prospective tenant will not necessarily know his specific position in line, but they can ask the Seattle Office of Civil Rights to investigate by checking the landlord’s records. Prospective tenants will have the option to sue a landlord if they believe they have been unlawfully skipped. The potential penalties a violator faces are fairly significant. In addition to any damages a “rejected” tenant may claim, a violator could be assessed up to $11,000 through $55,000 in civil penalties by the City, depending on how many prior unfair practices the landlord had been determined to have committed. Certain residential landlords may be exempt from this ordinance. Landlords who rent to a specific vulnerable population, such as domestic-violence survivors, and landlords who are maintaining permanent residence in a single-family dwelling, which they are also renting out (including accessory dwelling units), are not subject to the “first in time” policy. The “first in time” ordinance has other onerous features. It adds teeth to existing anti-discrimination regulations, including prohibiting discrimination against renters who use subsidies or “alternative sources of income.” Landlords are also now barred from implementing preferred employer programs that give discounts or other incentives to potential tenants who work for specific employers. Furthermore, a landlord must accept a written pledge of payment within 5 days from a Section 8 or other subsidy program, when individuals and families are working to settle their bills and stay in their home. Need a “pick me up” after all of that? Landlords can take some solace in the fact that the City Auditor will conduct an evaluation of the Ordinance’s impact by the end of 2018 to help the City Council determine whether the Ordinance should be amended or repealed. You can access a copy of the Legislative Summary issued by the Seattle City Council here. Landlords are also encouraged to review the Ordinance Summary issued by the Seattle office for Civil Rights here. You can contact John McDowall, Tammy Spellacy or Parker Keehn with additional questions at mcdowall@carneylaw.com, spellacy@carneylaw.com or keehn@carneylaw.com. Do you think your property taxes are too high? If so, remember to pay the taxes “under protest” to preserve your entitlement to a possible refund of the overpaid taxes. The month of April is when the first half property taxes are due in Washington. Under most circumstances owners can pay their taxes in two installments, on April 30th and October 31st. This year (2016) April 30th falls on a Saturday, which means the first half taxes do not have to be paid until Monday, May 2, 2016. Taxes are considered timely paid if postmarked on or before the due date. If the owner of the property feels that the taxes being levied are unlawful or excessive in whole or in part, the taxes must be paid “under written protest.” The law in Washington (RCW 84.68.020) requires the written protest to set forth all of the grounds upon which the tax is claimed to be unlawful or excessive. It is not sufficient to write “paid under protest” or any similar notation on the face of the check in payment of the taxes. Instead, the protest requirement can best be satisfied by writing a letter that will accompany the check and will notify the county of the protest and explain the reasons why the taxes are being paid under protest as required by law. If the taxes are paid in two installments—as most property owners do in this state—the taxes must be paid under protest with each installment. In other words, a protest letter must accompany each payment, on April 30 and October 31. If a written protest is not included with each payment, any future refund will apply only to the half of the property tax payment that included the written protest. Thus, if the property owner does not send a protest letter with the first half payment, the owner can still include a letter with the second half payment but the potential refund will be cut in half. Likewise, if the owner protests the first half payment but neglects to protest the second half payment, again, the maximum refund would be limited to one-half of the overpaid taxes. The protest letter will not result in a refund of overpaid property taxes. The property owner must generally take further action, which is to file a refund lawsuit in superior court. The payment-under-protest requirement only allows the property owner the right to file a refund claim in court and does not guarantee that the owner will actually receive a refund. When a county is served with a refund suit, it will check to see if the taxpayer paid the taxes under protest. If the county has no record of a written protest at the time the property taxes were paid, it will move to dismiss the lawsuit, which motion will very likely be granted. When an owner properly pays property taxes under protest, the owner must also be aware that there is a fairly short statute of limitations period within which to file the refund lawsuit in superior court. Under RCW 82.68.060, the action must be commenced no later than “the 30th day of the next succeeding June following the year in which said tax became payable.” Thus, a superior court refund claim for taxes paid under protest in 2016 must be filed no later than June 30, 2017. The county treasurer will not give property owners any legal advice related to the payment under protest requirement, so it is best to consult with a lawyer. This article highlights some of the very strict requirements for obtaining a refund of overpaid property taxes. The property tax is the only major tax in Washington that imposes a payment-under-protest requirement to obtain a refund of the overpaid taxes. It also has one of the shortest—if not the shortest—statute of limitations for filing a claim in court. In short, there are many “traps for the unwary taxpayer” when dealing with Washington property taxes. The refund procedure discussed above is one of two ways to reduce property tax levies. The other is to file an administrative appeal to the county board of equalization at the time the assessment is made by the county assessor. This topic will be covered in a separate and future blog article. Certainly there are also significant risks with spec building, including the fact that the market could turn and/or become oversaturated with supply. Figures from CBRE’s research department tell us there are currently 6.6 million square feet under construction in downtown Seattle—2 million is Amazon space, 1.6 million is pre-leased, and 3 million is pure spec building at the moment. Additionally, permitting could take too long and you could miss the cycle. Or your target good-credit anchor tenant could turn out like Circuit City and go out of business in an economic downturn. So given these risks and an uncertain future, what are some of the important things to keep in mind before embarking on a speculative building and/or a build-to-suit lease development project? Know the market. Talk to brokers, other developers, potential tenants, designers, contractors, lenders, and other professionals in the market to determine what is really happening in the market. How long are their backlogs, and what do they forecast? Be sure all contracts are assignable, as any lender will likely require this, and it would be essential if you were able to sell the property/project mid-stream. Delivery Standards—Make sure they are addressed in your construction and design contracts so there are no inconsistencies with respect to your leases. Delivery Dates—Define factors that constitute a delay and impact substantial completion. Be precise regarding rent commencement and rent abatement periods that will hinge on these delivery dates. Consider flexibility with Tenant’s financial incentives package—Can the TI Allowance be used for other purposes, such as converting to free rent? Rules and Regulations—You will need to make sure that you are protecting potential neighboring and future tenants and common areas if your anchor tenant is only taking half of your building. More and more, the LOI is becoming the most important document in this process. Even though it is legally non-binding, it still represents the business deal. You don’t want to be on the eve of lease execution, lack leverage, request an important item, and have the other party tell you, “We did not agree to that in the LOI, so we are not going to do so now.” Speculative building can be very remunerative if your timing is right, but there are obviously many things to think about first. John McDowall chairs the Business Group and co-chairs the Real Estate Group at Carney Badley Spellman. His practice focuses on lease, loan, and purchase and sale transactions. He recently spoke at the annual Law Seminars International Seattle Commercial Leasing seminar on the topic of Speculative Building and Build to Suit Leasing. The foregoing is a summary of his presentation at that seminar. 1. REET Rates. In most cases the REET includes both a state and a local levy. The state tax rate is 1.28%. Local governments can add 0.25% or 0.50% to the state rate, making the most common rates throughout Washington 1.53% or 1.78%. Several jurisdictions impose only the state REET (1.28%). At the other end of the spectrum, there are several jurisdictions that impose REET in excess of 1.78%. Those include San Juan County (2.78%) and the City of Asotin (2.03%). REET rates in the various locations of the state often change (rate changes are generally made at the beginning of a calendar quarter). The current rates are listed at the Department of Revenue’s website. 2. How the REET is Reported. The REET is paid to the treasurer of the county in which the real property is located, EXCEPT in the case of sales or transfers of controlling interests in entities that own real property, in which case the tax is reported to the Department of Revenue in Olympia. The tax is reported and paid on REET “Affidavits” and there are separate affidavits for sales of real estate, transfers of controlling interests, and sales of mobile homes. In addition to the affidavit, some transfers require a Supplemental Statement, which will ask for additional information about the sale/transfer. The Department has fill-in-the-blank REET Affidavits on its website. These forms are easy to complete and automatically calculate the tax. If there is any personal property included in the sale, the value must be deducted so it is not included in the REET calculation, but the sales tax or use tax will have to be paid on any personal property sold in the transaction unless an exemption applies. Once the Affidavit is completed, it can be printed and is ready to be filed with the county treasurer or mailed to the Department of Revenue. Both the seller and buyer are required to sign the Affidavit under penalty of perjury. 3. Exemptions From Tax. The REET contains numerous exemptions from tax. The exemptions can be found in the REET statutes, chapter 82.45 RCW, or in the rules or regulations adopted by the Department of Revenue, chapter 458-61A WAC. It is a good idea to review the rules from time-to-time in order to be fully aware of the exemptions available. The exemptions should also be reviewed to see if one might apply if the transaction is other than a straight sale of real property or controlling interest. If an exemption does apply to the transaction, the REET Affidavit contains a section where the exemption can be claimed. The number of the WAC rule that allows the exemption should be filled in. It is not necessary to provide any further explanation other than to identify the WAC rule that exempts the transaction. It is possible that more than one exemption applies to a transaction. If so, then list the exemption that seems most appropriate. 4. Consideration. The REET applies whenever the transfer is for “consideration.” It follows that a transfer for “no consideration” is not taxable. Consideration means money or anything of value, either tangible or intangible, paid or delivered, or contracted to be paid or delivered, including the performance of services, in return for the transfer of real property. The REET applies to both transfers when two properties are exchanged and there is no exemption when the transaction involves an IRC §1031 exchange. Consideration also includes the amount of any lien, mortgage, indebtedness or other encumbrance given to secure the purchase price or remaining on the property at the time of sale, including the assumption of an underlying debt. A sale where the buyer assumes the underlying debt and pays no additional consideration (e.g., cash) is fully subject to REET. 5. What constitutes the transfer of a “controlling interest” in an entity that owns real property in Washington? In the case of a corporation, a controlling interest is either 50% or more of the total combined voting power of all classes of stock of the corporation entitled to vote, or 50% of the capital, profits, or beneficial interest in the voting stock of the corporation. In the case of a partnership, association, trust, or other entity (such as a LLC), a controlling interest is 50% or more of the capital, profits, or beneficial interest in the entity. Note that the tax applies when exactly one half of the interests are conveyed and the events that trigger a transfer of a controlling interest are in the disjunctive (“or”). 6. The Measure of REET. When real property is sold or conveyed REET is generally calculated on the consideration paid by the buyer to the seller. If the buyer is purchasing a 50% interest in the property, the REET applies to the consideration representing 50% of the value of the property. For example, two parties own a parcel of real property (50% each) as tenants in common. One party wants out and sells his or her 50% share to the co-owner. If the fair market value of the property is $1 million and the selling price is $500,000, REET will be calculated on $500,000. But, in a sale or transfer of a controlling interest, the REET will apply to 100% of the fair market value of the real property transferred, regardless of the interest conveyed (although it must be at least 50%). So, if the real property in the above example is owned by a LLC and one of the owners sells his or her 50% member interests in the LLC to the other owner for $500,000, the REET will be calculated on the $1 million fair market value. 7. Can the REET be avoided if a controlling interest is transferred in increments? Generally no, any controlling interest transferred within a 12-month period is taxable. Thus, if 40% of the shares of a corporation are sold today, and then shares representing 10% are sold six months from today, neither transfer is of a controlling interest but because the transfers are within 12 months and the total interests transferred represent 50% of the entity, the REET applies. Also, all acquisitions of persons “acting in concert” must be aggregated for purposes of determining whether a transfer or acquisition of a controlling interest has taken place. The Department of Revenue’s rule on the taxability of the transfer or acquisition of the controlling interest of an entity owning real property in Washington (WAC 458-61A-101) has a comprehensive explanation of how the REET applies in these situations, including examples, and should be consulted. 8. How is the taxable “Selling Price” determined? The “selling price” upon which the REET is paid means the true and fair value of the real property conveyed. There is a rebuttable presumption that the true and fair value of the property is equal to the total consideration paid or contracted to be paid to the seller or to another person for the seller’s benefit. Oftentimes, the selling price paid does not accurately reflect the true and fair value of the real property (such as the sale of shares in a corporation where the selling price reflects the total amount paid for the shares and the real property is only a portion of the total underlying assets of the corporation). In such a case, one of the following methods may be used to determine the true and fair value of the real property subject to REET: (1) a fair market value appraisal of the real property; (2) an allocation of assets by the seller and the buyer made pursuant to section 1060 of the Internal Revenue Code; or (3) when the true and fair value of the property at the time of sale cannot reasonably be determined by either (1) or (2) above, the market value assessment for the property maintained in the county property tax rolls at the time of sale can be used as the selling price. This latter option is generally the most convenient. 9.	Who pays the REET and when is it due? The law generally imposes the tax on the seller of the property. But, the REET is regularly negotiated between the seller and buyer, and it is not uncommon for the buyer to pay the tax. Sometimes the tax is split between buyer and seller. When the buyer pays the tax the Department of Revenue has taken the position that the amount of the tax does not represent additional consideration. The tax is generally due at the time of the sale and it is delinquent after 30 days. It must be paid before any documents are recorded by the county auditor. In a sale of a controlling interest, the parties have 30 days to file the REET affidavit with, and pay the tax due to, the Department of Revenue before interest and penalties begin to apply. 10. Department of Revenue Audits. The REET is one tax in which the Department of Revenue audits nearly 100% of transactions. A copy of the REET affidavit filed with the county is forwarded to the Department and, of course, controlling interest affidavits are sent directly to the Department. The Department will generally review every affidavit and may perform some research on the real property transferred. If an exemption from REET is claimed, the Department may follow up and ask for information or documentation that supports the exemption. Whenever the selling price listed on the REET Affidavit is less than the assessed value of the property, an audit may follow. A mistake in preparing the REET Affidavit is also a reason for the Department to audit the transaction. So, it is important to be very careful and accurate in preparing the Affidavit. It is also important to retain all documents related to the transaction until the statute of limitations (4 years) runs out on the Department of Revenue’s ability to assess additional REET. There are many topics to consider when addressing the REET. This summary is by no means exhaustive. Please feel free to send your comments and questions for future blogs on this tax. In a relatively recent published decision filed March 13, 2014, in a case entitled how Houk v. Nichols & Shanan Development LLC, the Washington State Court of Appeals decided that the provisions of RCW 25.15.303 as amended in 2010 are prospective only and do not apply retroactively. The question before the court was whether the administrative dissolution of a LLC (limited liability company) activated the running of the three-year statute of limitations as to any claim against the limited liability company, its members or managers under the former provisions of RCW 25.15.303, adopted in 2006 and rewritten in 2010. The court held the new provisions of RCW 25.15.303 as adopted in 2010, are not retroactive and are prospective only. Thus the administrative dissolution of the limited liability company under the former statute did in fact commence the three-year statute of limitations to run. However, RCW 25.15.303 as now adopted in 2010 requires that in order for the three-year statute of limitations to commence to run as against a limited liability company, the limited liability company must formally file with the office of the Secretary of State a Certificate of Dissolution. The case stands for the proposition that the administrative dissolution of a limited liability company, in and of itself, will no longer activate the running of the three year statute of limitations provided for in the current version of RCW 25.15.303, as it would under the former provisions of RCW 25.15.303. In the case before the court no certificate of dissolution had been filed by the limited liability company but rather the limited liability company had merely been administratively dissolved by the Secretary of State for failure to file its annual report, and pay its annual license fee with the Secretary of State’s office. The Plaintiff in the subject case contended that the administrative dissolution of the limited liability company was ineffective to commence the running of the statute of limitations. The court however disagreed, saying that under the former statute the limited liability company, having been administratively dissolved, the limited liability company need not take any affirmative action, under the former statute, in order for the three year statute of limitations to commence to run. Since the Plaintiff’s lawsuit in Houk was filed more than three years after the administrative dissolution of the limited liability company, the court held that the Plaintiff’s case must be dismissed. The Defendants LLC, having been administratively dissolved on Oct 2nd, 2006, the Plaintiffs had until Oct 2nd 2009 in which to file suit. In fact suit was not filed until December 16th 2010, more than three years after the administrative dissolution of Oct 2nd, 2006. The court therefore dismissed the Plaintiffs cause of action against the Defendant. The message is clear that under the new statute, in order for a limited liability company to cause the commencement of the running of the three-year statute of limitations as now expressly provided for in RCW 25.15.303, the limited liability company must make an affirmative filing of a Certificate of Dissolution with the office of the Washington Secretary of State. A limited liability company can no longer rely on an administrative dissolution, by the Washington Secretary of State, to cause the commencement of the running of the three year statute of limitations set forth in RCW 25.25.303 as now adopted by the legislator in 2010. If you have questions about this, please contact Dan Unti at unti@carneylaw.com. Our firm frequently negotiates leases for both landlords and tenants in various contexts and industries, and lately I have seen a few interesting trends in one of the most often overlooked provisions of a lease and the letter of intent—the renewal options, and specifically the methods for determining fair market rent for renewal terms. Landlords have become more sophisticated in attempting to set the market in advance, so as to minimize negotiations and down-side risk when a renewal term strikes. Probably the best way for landlords to do this is to narrow the market of “comparable” properties. Some downtown Seattle landlords with low vacancy specifically define the Class A buildings that are a “comparable” property in the Central Business District (“CBD”). Obviously, the market has evolved over the last several years thanks to Amazon—there are now Class A buildings at the north end of the CBD; conversely, some buildings at the south end of the CBD are no longer considered Class A. We have also seen this in retail or restaurant leases in certain Seattle neighborhoods—trying to define certain “hot” neighborhoods as the universe of comps, e.g., Ballard, Pike/Pine, or South Lake Union. I even recently saw one industrial lease in Kent where the landlord confined the comparable market to his other buildings! More alarming for tenants are limitations based on the term or nature of the lease. For example, landlords might limit the renewal comps to other recent renewals. This is usually a very narrow category, which likely does not reflect the market. When the renewal term rolls around in three to five years, the tenant will likely have choices of at least a few other properties on the market, and it is not a stretch to say that other new leases should be considered as comparables, i.e., what has happened recently in the market. Landlords are also wise to limit the types of concessions that can be considered for purposes of analyzing market comps for renewal purposes. For example, exclude moving costs on the theory that the moving costs would not be a consideration if tenant renewed in the current space. This is probably a reasonable position. Some landlords are increasingly refusing to consider free rent or tenant improvement allowance concessions in evaluating comparables, and are sticking only to the “face rent” as the only comparable factor. These factors, which yield the “net value” of the “total lease package,” are usually part of the market analysis when the tenant is considering whether to renew or move, and it does not seem appropriate to exclude them. I rarely see increases based on the Consumer Price Index (“CPI”) anymore, given the sluggish economic growth. Now the parties are more content to simply go with a market analysis, with an arbitration provision to employ experienced appraisers or brokers to decide the fair market rent if the parties cannot agree. A fair compromise I often see with two option periods is to have 2-3% annual increases during the first 5-year option period, and to go with market rent during the second period. Again, this is where itemizing all of the factors to be considered in calculating the “fair market rent” becomes important. Does this really matter to tenants? Not much in a tenant’s market, where there is significant vacancy and tenants have multiple other options in the market. A tenant can simply decline their option and then negotiate new terms with the landlord. If the market stays tight, however, this definitely makes a difference to the tenant, and there is no down side to the landlord if they can define or further narrow the market years in advance. The moral of the story? The letter of intent is more important than many think, even if it always contains that “non-binding” legalese in the last paragraph. This does not mean every letter of intent now must be 10-15 pages and essentially replace the lease. The letter of intent should still be 3-5 pages, depending on the issues presented but it is worth some time for both sides to haggle over what will represent a true comp in an option renewal period 5-10 years in the future. 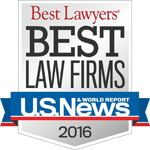 Carney Badley Spellman is a Seattle Washington law firm that offers legal services to a diverse clientele in the U.S. and internationally. Clients range from startups to closely-held businesses to Fortune 500 companies. Our services include Real Estate, Construction and Business Law, and Litigation.